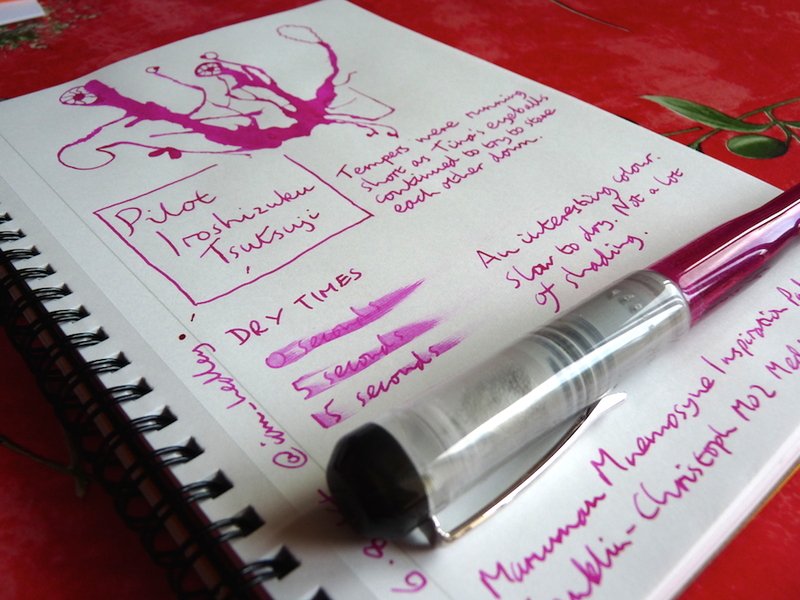 Pilot Iroshizuku Tsutsuji ink review – Pens! Paper! Pencils! Not quite my cup of tea this colour but it’s interesting, you can’t deny that. 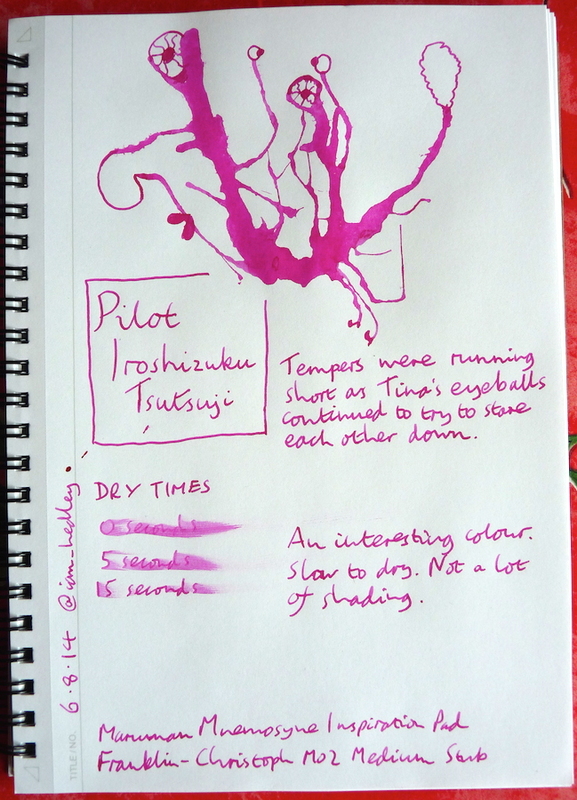 Being a bit of a numpty I put all of the sample into the pen which limited what I was able to do for the review. I HAD A SMALL HEART ATTACK OF EXCITEMENT WHEN I SAW THIS. Sorry for the caps. I was just so excited. The ink and the eyedropped FC!!! AHHHH!! !